"And I just remember dancing around to it and I just loved it. It was my mix. It was something that I loved because I made it." When we sit down in a French restaurant, Anupya quickly scans the menu and makes intense direct eye contact with me. I look down and laugh when I realize the obstacle before us. As we begin to decipher each dish (names written out beautifully in French) with only our shared foreign language knowledge of high-school Spanish to guide us, we catch up. Anupya and I played on the same middle school soccer team and bonded through four traumatizing years of teen angst, but it only hits me as I sit down that we haven't had a lunch together...in years. 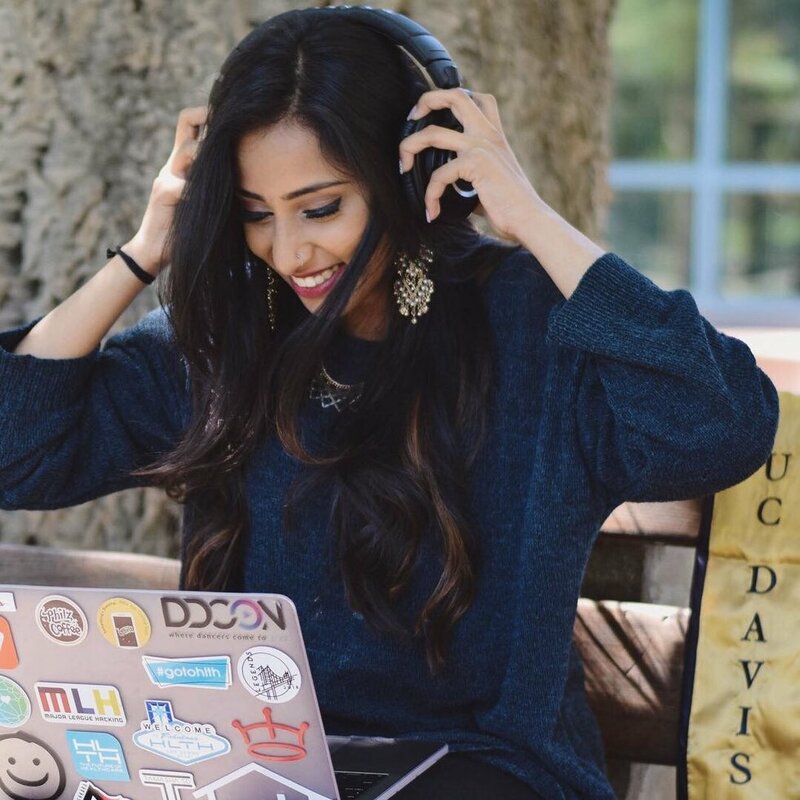 In the meanwhile, she has released another album, this one full-length, been invited as a panelist and guest of honor for the upcoming DDCON, and will be soon moving to Texas to start her career as a software programmer, all while continuing to mix. As we receive our starters, we start talking more about her past and her progress to the point that she is at now. So, why did you start mixing? I started in high school—with [a friend]. Up till that point it was only classical. I was only a classical dancer. So, when I started doing Bollywood for Spotlite [high school showcase], me and [my friend] would just put remixes we found online together. There's a certain charm to Indian music. It's something that you can't find in American music. It's not that I don't like American music. I just wanted to give that Indian charm to American music. And that's kind of what all those DJs did online. The first person I remember finding was Sanjoy. He's actually from the Bay. And he made songs—songs I hated—into songs that I loved. And I was like, "How did you do that? How do you add one beat and change the perspective on the song?" I love the idea of making a song your own, my own taste. If there's something off about it, I can fix it. When I went to college, I continued Bollywood. I did Lashkara [dance team], and I was on the mixing committee. During that year, I met Nitin, who was on the team, and we made our first mix together. And it was his concept, but I implemented it. That summer after, just for fun, I made four mixes and I showed them to a friend and she said, "You should post these." So I posted them. At that point, there were a couple I looked up to already like DJ Ruckiss and Shrimix and BANED. Abhi — that's BANED — Abhi has literally become one of my best friends now and it's insane to think how far everything has come. But, back then these people would reach out to me and say "You have so much potential. You can do so much." I was like, "I am getting so much support from people I don't even know," and it just took off from there. A lot of teams started asking me to do their mixes [sophomore year], and I did Lashkara's that year and everyone loved that mix. Ever since then I have been making team mixes. And I don't think I'm stopping anytime soon. And you're being noticed! Well, you're a guest of honor now at DDCON. How did that happen? Yeah! 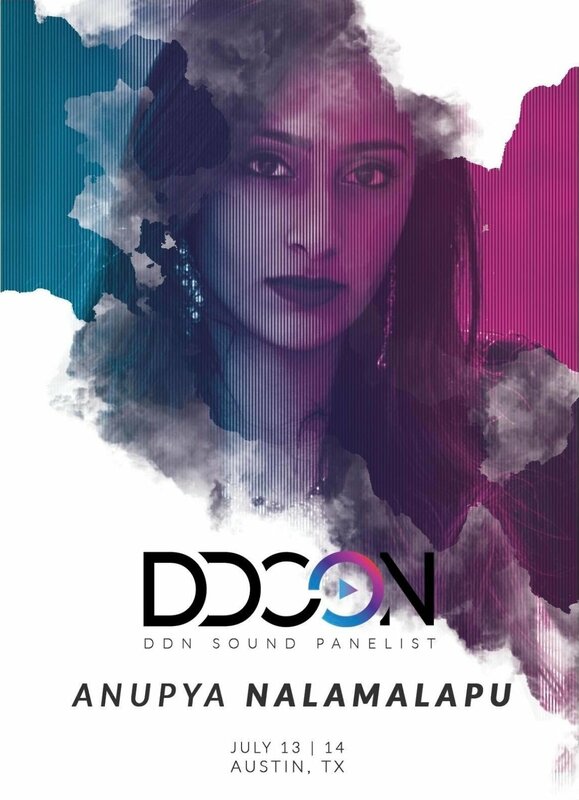 DDCON (Desi Dance Convention) got started last year, and DDN has become this giant network of people who are super into Bollywood, whether it be music or media or acting or dancing. They created this conference last year and then in the last year our dance team, Lashkara, was doing really well so I got noticed through that. People would start watching our videos and see the mix, and say "Who made that?" The way I started, I didn't even think that, 'Oh, I am a female DJ. I'm not going to get noticed.' But people said, "You're a female DJ. And you're getting noticed. That's insane!" They said, "You did that without questioning gender roles or anything." DDN Sound started last year. All the music-oriented people [in DDN] were now called DDN Sound, and they created a board. So, [DDN] made me the lead of Ethics and Diversity because they thought that I could influence other people. I've just been reaching out to a lot of female DJs and its just been great. Were there not a lot of female or women DJs in the DDN circuit before? DJs, in general, have been predominantly male. 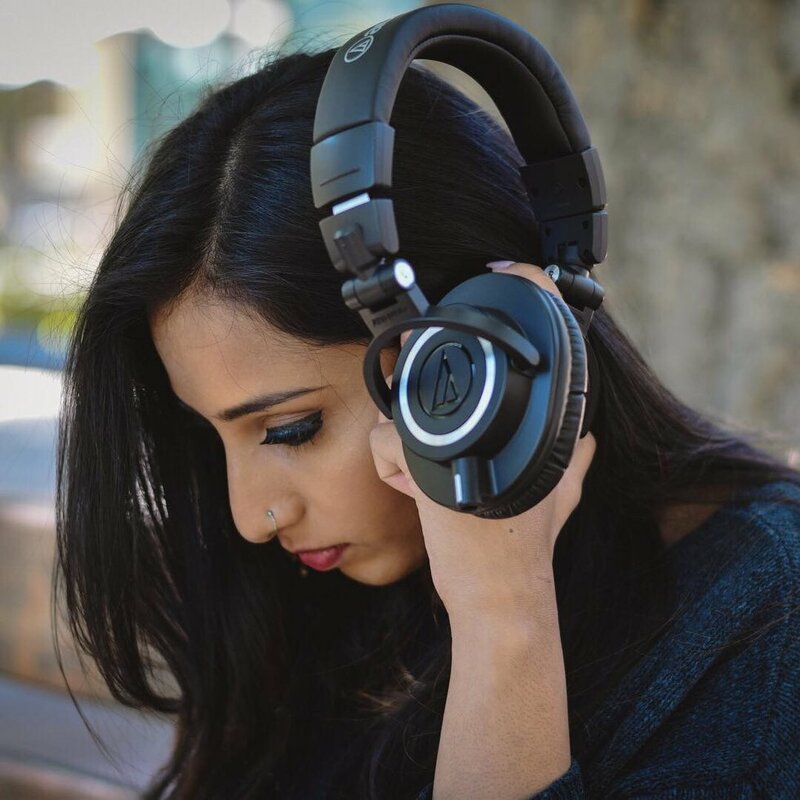 Even in the Bollywood circuit, or even here, there have been basically no female DJs anywhere. There have been singers who produce their own music, but they're considered singers, not DJs. In the circuit, they call anyone who produces a 'DJ.' Even if you're just arranging two different songs together, you're considered a DJ, and that's associated with live mixing. Girls just get really scared of that. You have to put yourself out there, you have to stand in the middle of a club, all eyes are on you. It's just scary. Because of all the stereotypes of female DJs, if someone sees you up there, they're immediately thinking, 'Oh, it's a female DJ. She's not going to be great.' That's just the notion. But, I didn't even process that when I started and there was one girl who was a DJ, Shubashree. I remember talking to her and asking, "Is it hard for you?" And she said, "No! It's really not." She's the reason why I started actually going for it. And, recently there's been a lot more [female DJs]. It's been really cool to see a lot more female DJs starting because that wasn't a thing three years ago. And you just put out an album right now. It's called Graduation. Can you tell me a little bit more about this album? Before this, I released two albums — [the first] wasn't a full-out album, but like six songs that I made in my free time that I put out and I called it Redemption. And there were two of those, Redemption I and Redemption II. But this album took the most planning. I want to say that I started thinking about it in April and it was my last quarter on Lashkara. And I had dedicated four years to it and it was a big commitment, it wasn't easy to do. And when this ends, will things change? In terms of the people around me, will they change? I wanted to make sure that these people knew what they meant to me. I can pinpoint things about them that have influenced who I am today, they have influenced characteristics that are part of me now. And I just wanted to thank them for that. I thought of who I wanted to do this for, and it started with my high school group. I wanted to find something that they like, and then I branched out to my roommate and all the seniors. Just a lot of people that I needed to thank. And, it ended up being 23 people! I wanted everyone to know that I don't know what's going to happen from here on out, but I want this to remind you that I do love you, and forever it's going to be that way. And that's the reason I named it Graduation. It was me putting my goodbyes into music 'cause I knew I could do it 100%. Did it give you a lot more freedom? Were you able to be a little freer because you didn't have the constraint of producing for dance teams? There was actually a time that I hated mixing. And I never thought that this would be something I hated. Because when I would be doing it for teams they would just reject a mix, and I wouldn't know why. That's why I emphasize communication so much 'cause I am just going to overthink 'Why don't you like my mix?' So, for a while, I didn't want to be a DJ. There's always been a point in my last two years, at the height of competition season, where I would go "I don't want to do this anymore!" But, after competition season ends, I start mixing for myself. I start mixing the way I did when I started and realized this is why I don't want to quit. This is why I love it. I mean, I did kind of restricted myself 'cause these songs [on the album] are ones my friends like so I wanted to use those specifically, but the mixes I made were mine. Are you going to keep mixing after graduating? Yes. I am doing teams next year, too. Not as many 'cause I can't handle that as a working girl. [Laughs] But, I'm doing a lot more mixtapes. I'm taking lead on a couple so any DJ that collabs with me, it will be my say, which is really cool!